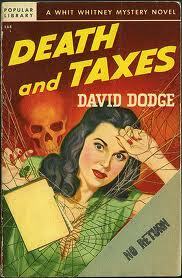 Death and taxes, death and taxes, death and taxes. For some taxpayers, the saying may hold even more truth with the application of the Net Investment Income Tax. Recently, tax attorneys and tax professionals may have been asked, what is the Net Investment Income Tax? The article below has been drafted by a tax attorney at The McGuire Law Firm to provide some information regarding this new tax. Please feel free to contact our law firm at anytime to speak with our schedule a consultation with a tax attorney. The Net Investment Income Tax became effective on January 1, 2013. The tax is an additional 3.8% (for certain taxpayers) on the lesser of a taxpayer’s net investment income or the amount by which their modified adjusted gross income exceeds a statutory threshold amount. The statutory threshold amount is based on a taxpayer’s filing status and is stated below. Net investment income may include, but is certainly not limited to income from dividends, capital gains, interest, rental income, royalty income and non-qualified annuities. Generally, net investment income will not include wages, unemployment benefits or compensation, alimony, social security benefits and types of self-employment income. Net investment income will not include any gain from the sale of your personal residence that is excluded from a taxpayer’s gross income for regular income tax. Individuals should note and pay attention to their income and net investment income, because they may need to make quarterly estimated tax payments to prevent being assessed an estimated tax penalty for failing to make such payment. Typically, quarterly estimated tax payments are due April 15, June 15, October 15 and January 15. You can make these payments by mailing in Form 1040ES to the appropriate IRS service center or may be able to make them online through EFTPS. Individuals should also note that the tax on net investment income is different from and separate from the Additional Medicare Tax, which became effective January 1, 2013. The additional Medicare tax is an additional .9% on individuals wages, compensation and self-employment income over certain thresholds, but does not apply to items of income that would be included in Net Investment Income state above. The Net Investment Income Tax and Additional Medicare tax are good examples of an increase in tax without necessarily increasing the marginal tax brackets. Thus, do not necessarily believe a politician the next time they state they will not increase tax. They may not increase tax rates, but individual’s tax rates can be increased through the implementation of additional taxes and phasing out deductions and credits. If you have any tax questions, issues or matters, please contact The McGuire Law Firm to speak with a tax attorney. Whether it be an individual tax issue or business tax matter, an attorney at The McGuire Law Firm can assist you. Offices in Denver and Golden Colorado for your convenience.